You wake up on a beach in Costa Rica, clearly suffering short-term amnesia. Theres a crashed boat and a man next to you that you dont recognize. What happened? 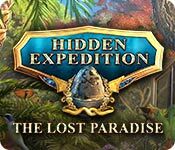 As you recollect your memories you come to realize youre in the middle of a search for a mythical underwater city, called Lost Paradise. Sam and you have been working with Mr. Drake, a powerful energy magnate in order to discover the location of this city. But someones on a mission to stop you at any cost, and any cost means crashing a boat into you. As you near the discovery of Lost Paradise, youll realize that some secrets are better left buried.